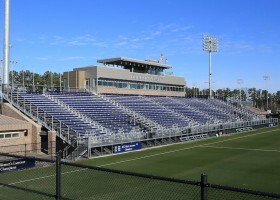 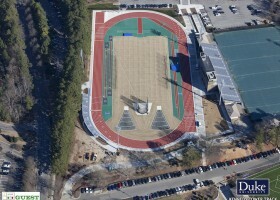 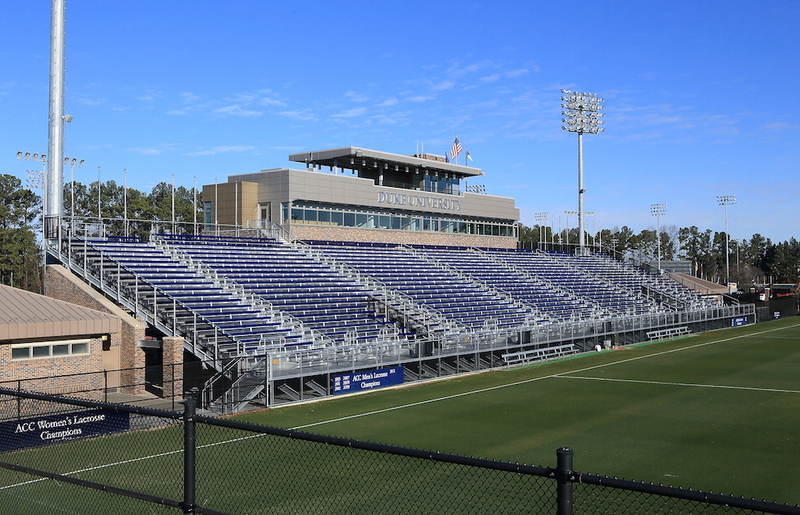 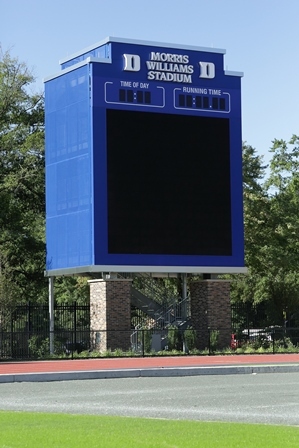 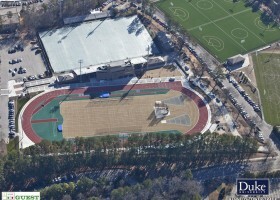 We started at Koskinen Stadium, where we were tasked to replace the home side of grandstand bleachers to make way for and later connect to the new Kennedy Tower Press Box. 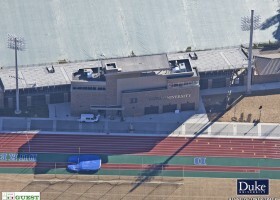 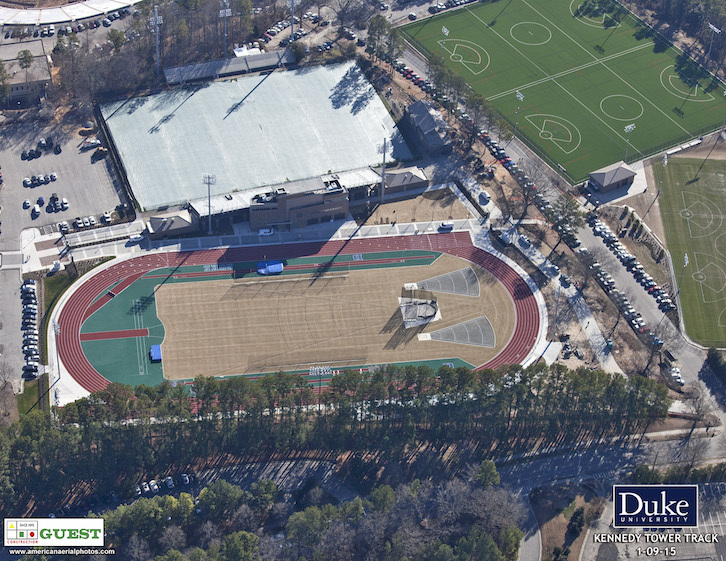 From there we constructed the new 11,000sf, 4 story, brick and metal wall panel veneered building that will service each of the lacrosse, soccer and track and field programs at Koskinen Stadium and Morris Williams Stadium, respectively. 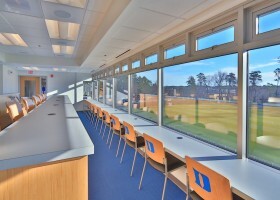 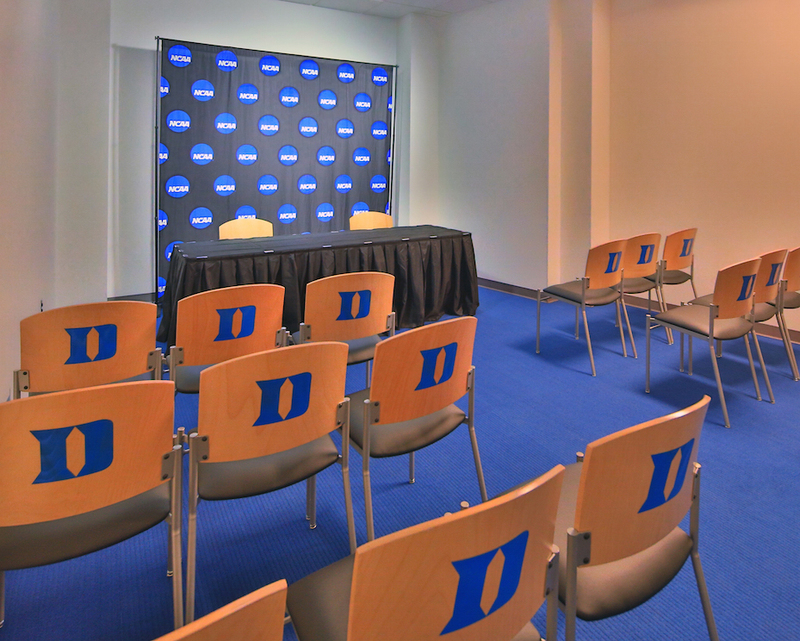 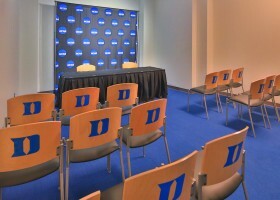 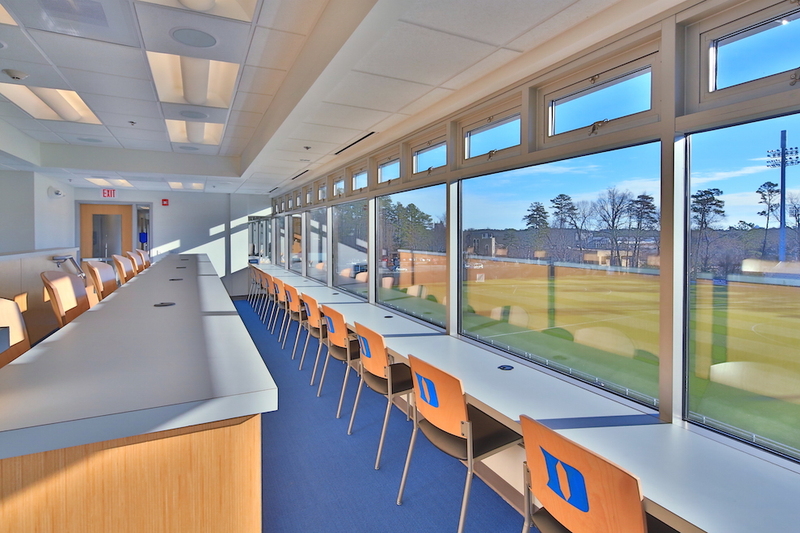 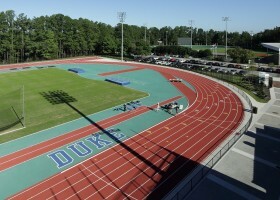 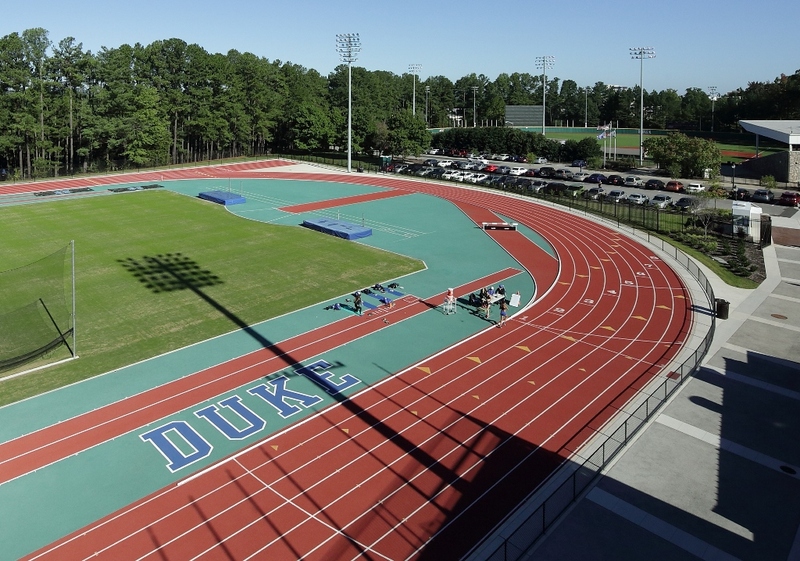 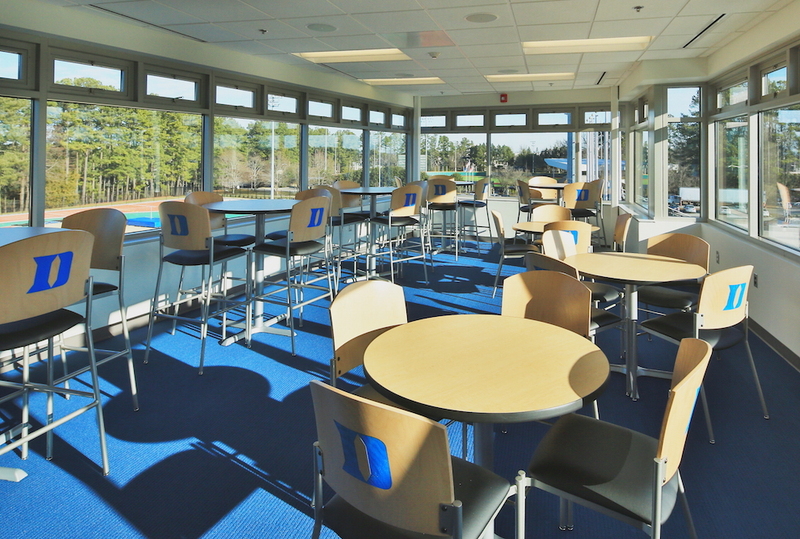 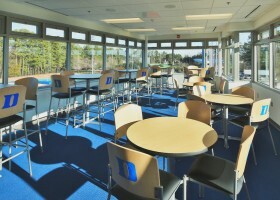 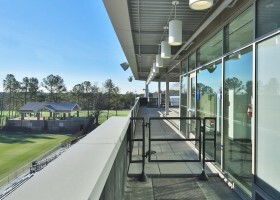 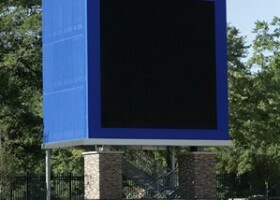 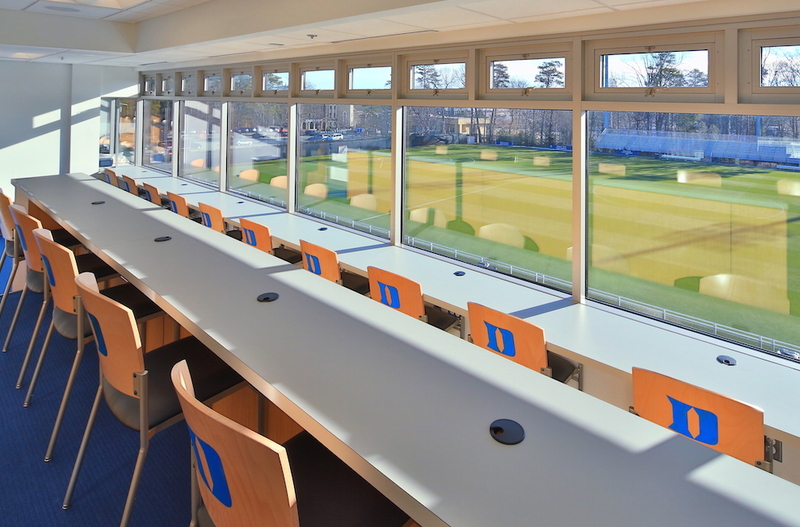 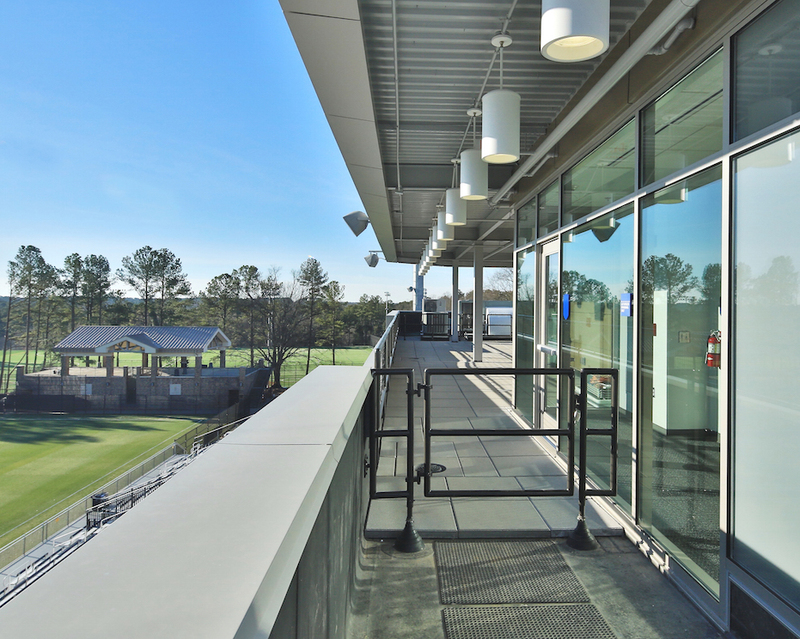 The building is fully equipped with an outdoor videography deck cabled for broadcast partners – ESPN, ACC Network, and the Blue Devil Network. 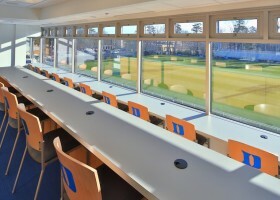 The building includes 4 broadcast booths, 2 operations booths, hospitality suite, work areas, media/press rooms, and storage for the event equipment. 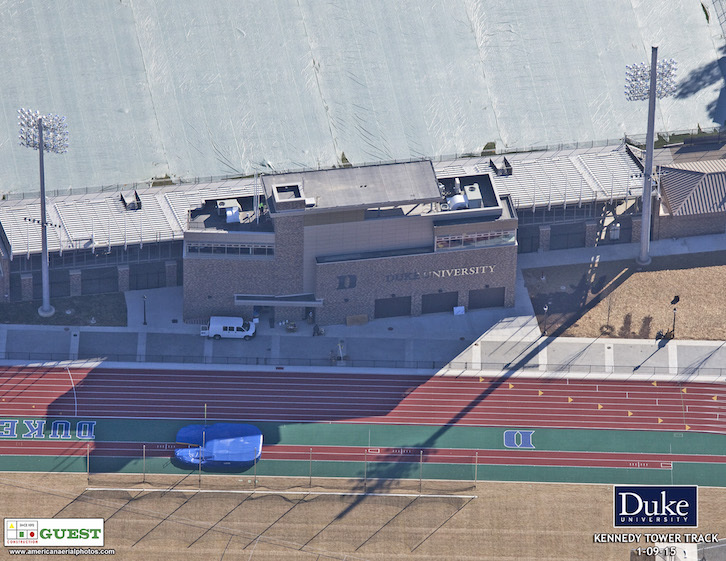 Ongoing and along with the construction of the press box tower, we were constructing the new NCAA certified Morris Williams Track & Field Facility. 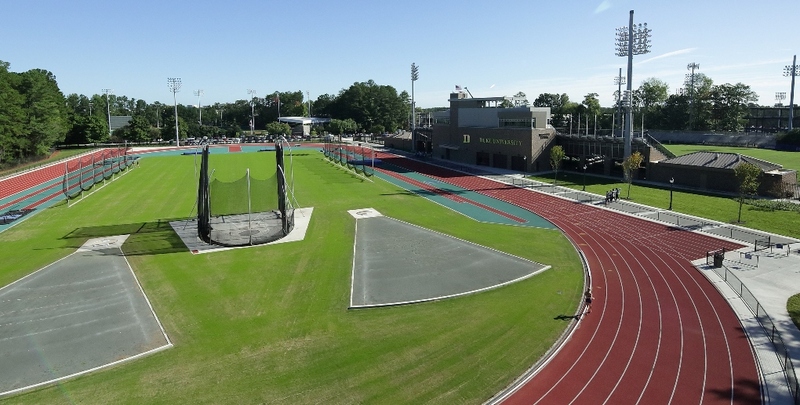 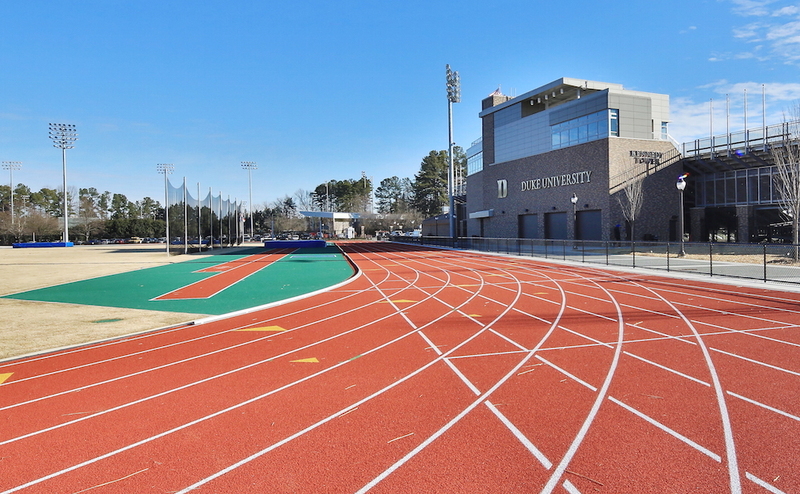 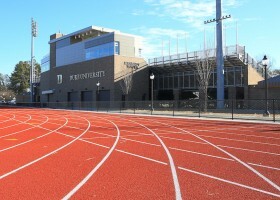 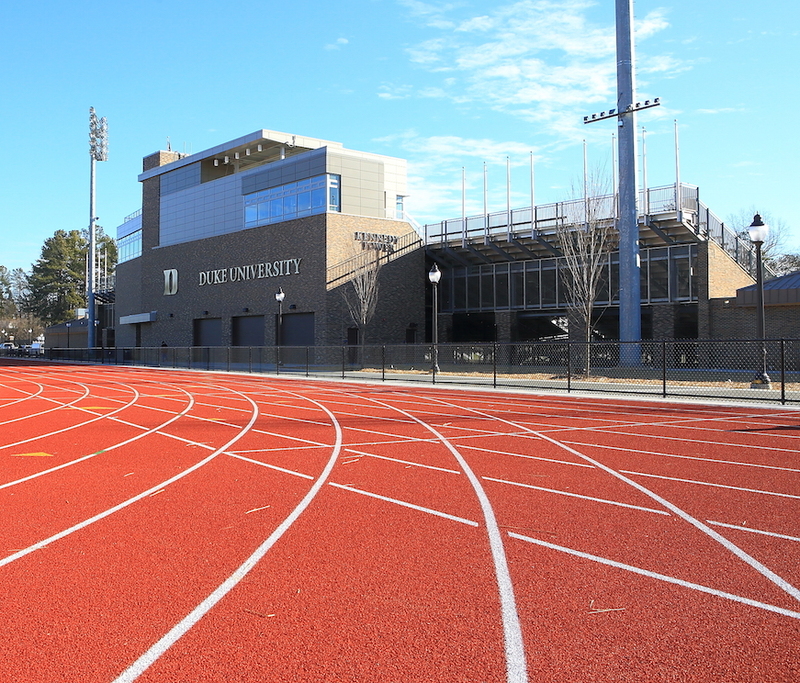 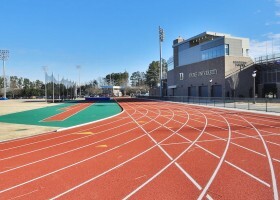 This facility features a state of the art full depth polyurethane 8 lane track and all field events including, long jump, pole vault, high jump, shot put, javelin, hammer throw and discus. 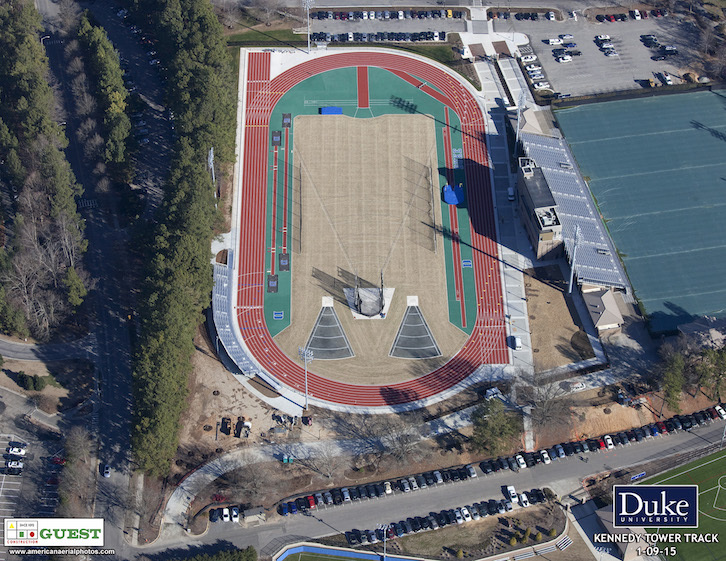 This project also included the relocation and expansion of all site utilities as well as a section of underground production ductbank for the new athletics technical systems master plan.